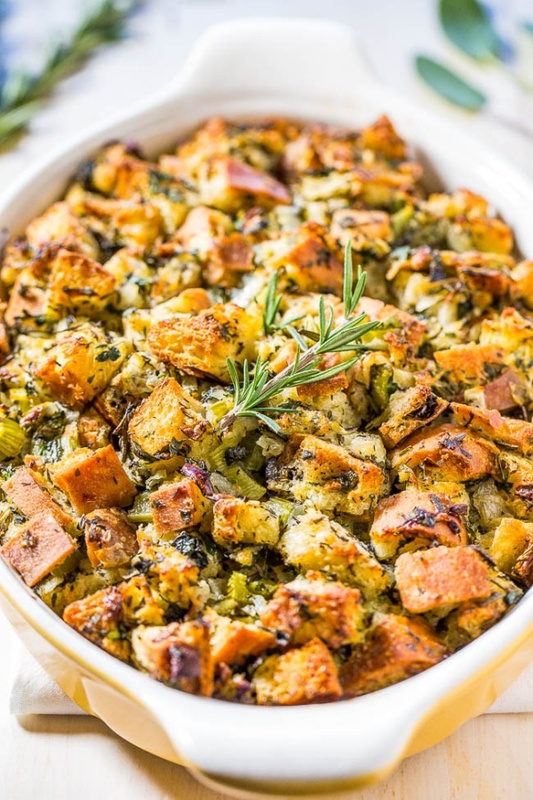 Classic Traditional Thanksgiving Stuffing - The stuffing is made with onions, celery, herbs, butter, broth, and bread. Simple really is the best. To save time on the big day, I dry the bread out the night before but you can do it that morning if time permits.